Fourth-ranked Green Valley (7-1, 3-1 Southeast League) has averaged 264 rushing yards over its past three games heading into a matchup at No. 5 Foothill (7-1, 3-1) at 7 p.m. on Thursday in the regular-season finale for both teams. Five games into the season, the Green Valley football team looked like a pass-first group that was going to rely on airing things out to beat opponents. But following a 49-14 loss to Liberty in which the Gators managed just 58 rushing yards, something interesting happened. Green Valley started dominating opponents on the ground. The fourth-ranked Gators (7-1, 3-1 Southeast League) have averaged 264 rushing yards over their past three games heading into a matchup at No. 5 Foothill (7-1, 3-1) at 7 p.m. Thursday in the regular-season finale for both teams. “Having a run game in football, it’s a great neutralizer,” Green Valley quarterback A.J. Barilla said. “That’s any game, any opponent. And the fact that we’ve been able to run on teams that have respectable defenses — Basic and Coronado have some pretty good defenses — and our run game has really carried us the last two games. 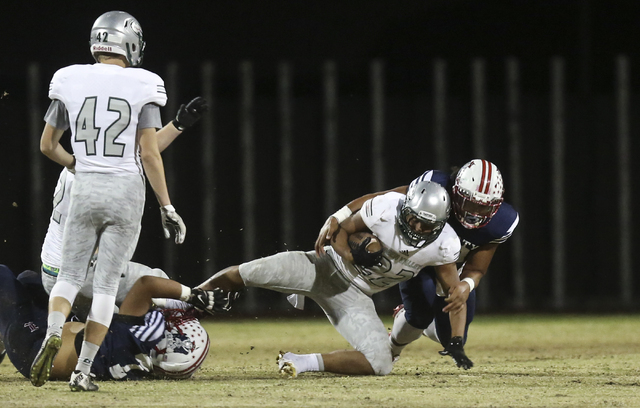 The Gators had their moments rushing early in the season, but struggled against ranked teams Faith Lutheran (81 yards) and Liberty. Running back Julian Hulse, who leads the Gators with 645 yards rushing, credited the offensive line for the late-season production. Hulse is coming off a 166-yard game against Coronado and has topped 100 yards in consecutive games. “It’s honestly really exciting and very satisfying to know that I can trust my guys up front and get like 5 yards every down,” Hulse said. Grinding out drives may be necessary for the Gators against Foothill in a battle for second place in the Southeast. Foothill certainly won’t make it easy for the Gators. The Falcons have had one of the area’s stingiest defense, allowing an average of 12.9 points and 81.5 rushing yards. Foothill allowed only 15 rushing yards against Basic last week. 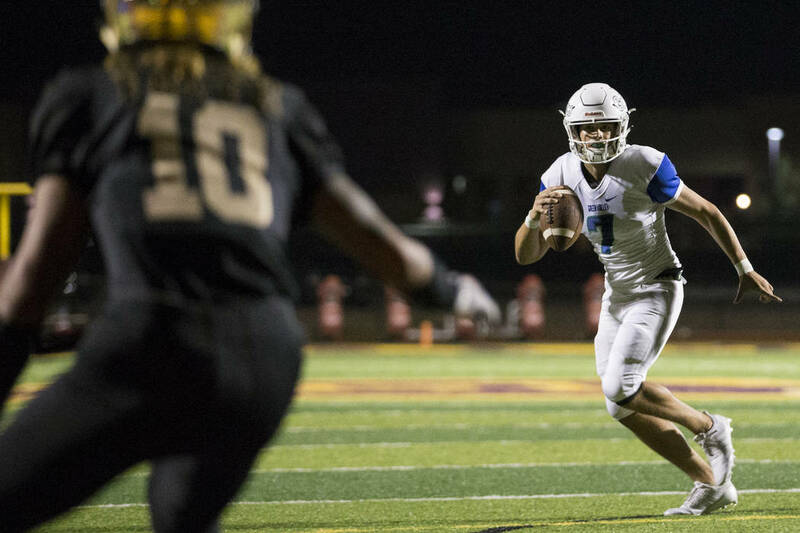 The winner can secure a home game in the Sunrise Region quarterfinals, something that may have seemed out of reach for the Gators after they went 4-5 and missed the postseason last fall. “It’s been a season of a lifetime for me and many of these guys,” Barilla said. “We’re just having fun out there, and it’s truly a blessing that we’ve been able to be put in this position. And all of our dudes are having fun and playing together like a real team.